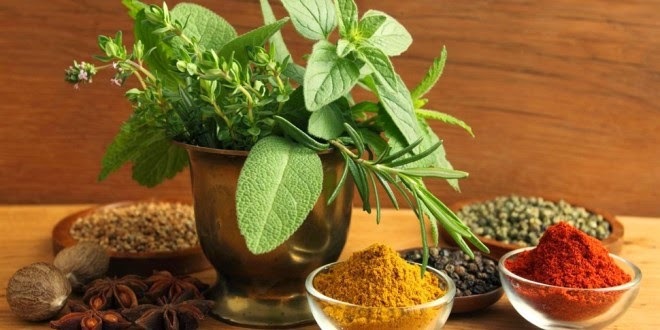 Spices apart completely changing and improving the taste of food, they are great sources of health. It is best when spices are consumed fresh, but you can use them in a dried state. The onion is a natural diuretic, goes perfectly with every meal, perfectly agrees with fish, salads and stews. Basil is good for digestion. Excellent addition to salads, soups and pasta. Sage reduces sweating and purifies throat. Best agrees with soups, baked dishes and sauces. Rosemary is otherwise considered a natural replacement of aspirin, because it calms the nervous system and improves digestion. Goes well with stews, soups and meat. Dill calms gases and bloating stomach. Best for soups, sauces and different dressings. Coriander is effective anti urinary infections and gives a great taste of vegetables and various soups.